Energy intensity is the amount of energy required to produce one unit of gross domestic product (GDP). According to the Planning Commission of India, the energy intensity of India’s GDP has been declining since 19811. 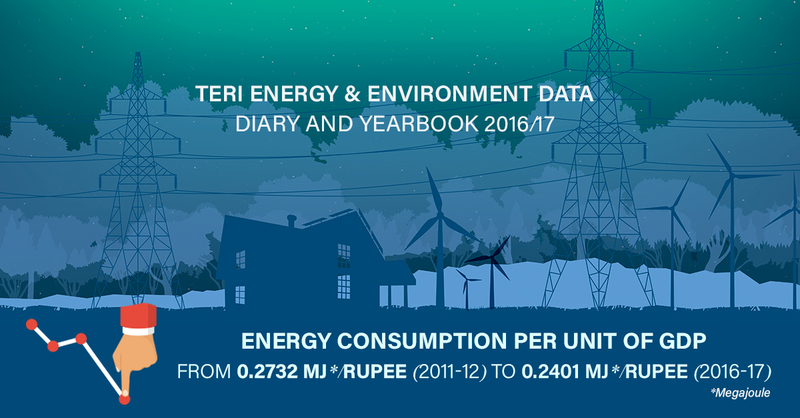 Data for 2016-17 indicates that electricity consumption across sectors has risen by 23 per cent, indicating increasing energy demand in the economy. However, in good news on the energy efficiency front, the energy intensity continues to decrease despite the rise in demand. Read more about what energy efficiency means for the Indian economy.